Why have we failed to implement a viable missing middle strategy? Is the NSW government's idea of the "missing middle" ambitious enough? Following is an edited transcript of a speech Western Sydney University adjunct professor David Chandler gave to the Housing Diversity Conference in Melbourne earlier this month. What do you think the missing middle (MM) would look like if it were to become a serious movement in Australian housing formation today? It won’t become a serious movement until this picture is clear. Whatever is concluded, the MM part of our housing mix is fundamental. It must make up more than 20 per cent of new housing supply in greenfield areas and more than 40 per cent in future brownfield urban formation. And here is the challenge. The MM typography should target densities of 30-55 dwellings a hectare. This clarity is an essential piece in the missing middle conversation. And the gap between those with their feet entrenched in the built environment silos versus the built-world reality must be resolved to make better progress. Better Australian housing diversity and achievability will only occur once the silos holding back the possibilities are exposed and repurposed. Hopefully this conversation helps. By past definition, missing middle housing consists of multi-unit housing types such as duplexes, fourplexes, bungalow courts and mansion apartments that are not bigger than a large house. These were once integrated throughout most walkable pre-1940s neighbourhoods and often integrated into blocks with primarily single-family homes. They provided diverse housing choices and generated enough density to support transit and locally-serving commercial amenities. This diversity was once a common feature in pre-war building stocks, but these housing types have become less common (hence the “missing”). That was then, and this is now. And it’s now that matters, the rest is jibber. The diagram below shows what the planners in NSW think – under 30 dwellings/ha. Below is what I think. The missing middle must be about 30 to 55 dwellings/ha. I also contend that the MM must apply to a new housing typography that breaks the slab on grade constraint and the myth that the real cost of project housing build is $1500 a square metre. I contend that slab on grade and at grade parking have no place in the missing middle typography. The cost of this farcical land supply to pander to stick-builders is wasteful and destroys the amenity that a modern approach to MM should aspire. Hence, the naivety of the MM narrative presented by planners misses this point and aggravates the problem. Who believes all of this stuff? The community and the industry live in the jungle of reality. Let me make one point clear here and now, I am all for urban intensification, just not this. Missing middle yields of 30 to 55 dwellings per hectare should be as applicable to both brownfields and greenfield land uses designated for that purpose. Failing to achieve these densities in effect sterilises important sites to sub-optimal land use for 50 years and more. So, how do these land uses shown below turn out the way they do? My observations point to a widening gap in-between achieving 30 dwellings and over 55 dwellings per hectare. On one side of these yields are those advocating for land to feed traditional residential builders on ever diminishing lot sizes. These days that land is getting down to 225 sq m lots. On the other side, developers struggle to make densities below 55 per hectare work. In my view, this gap has most to do with the capability limits of what I call the “slab on grade” builders (the SLoGers) and those who are not so constrained. There are significant cost and quality differentials here, but let’s first finish with the erosion of public trust and the lack of appreciable examples of good MM. Invariably, when the public and consumers step away from the sales office glitz, the built reality awaits them. That reality only takes a few years to fully emerge – just after warranty. While the missing middle on the face of it is intended for infill development centred around neighbourhood centres and secondary transport corridors, the community is sceptical. They are constantly being buffeted by a development industry that secures land with the clear intent of pressing for higher and higher density. These expectations then become the norm. It is these realities that see unconvincing planning polices retraced when public rejection looks set to take its toll at the next ballot box. All the while the potential of the missing middle’s housing diversity and value proposition suffers. The industry is awash with consultants, academia and lobbyists who enshrine their existence by espousing or publishing advocacy that points to the next silver bullet. These mostly lack challenging rigour because they are mostly self-serving. How they imagine these will help change public distrust and raise industry confidence is anyone’s guess? It clear that today’s housing density and diversity challenges are not a matter to be left in the hands of planners alone. Nor is the solution about echoing the interests of the big end of town. Most are just as lost. Housing formation insights and subsequently implementation strategies must be led by able doers not political patsies. So, what is the problem today? In my view, the difference between the built environment (BE) and the built world (BW) players needs to be understood. In social science, the term built environment refers to the human-made surroundings that provide the setting for human activity, ranging in scale from buildings to parks. It has been defined as “the human-made space in which people live, work, and recreate on a day-to-day basis”. In business, the term built world might refer to the activities of procuring, making and operating built assets, where performance is quantified and valued. The BW requires the joining up of all of industry’s inputs to optimise the viability of the assets they make, the enterprises who provide them, and the success of the economies in which they operate. The momentum of today’s digitising, industrialising, globalising and more sustainable BW industries emphasises these distinctions. The BW incorporates BE. It would be impossible to chart a BW scenario otherwise. Irrespective of these labels, appreciation of the gap between the “conceivers” and the “makers” of the built world is a major implementation factor. Unfortunately, these get overlooked in the babble of today’s planning industry. In case anyone is missing it, the making of the modern built world is undergoing massive transformation. It is likely that the industry will look so different by 2030 to its traditional past, that those looking back will struggle to fathom how that past occurred. And the traditional lines between the makers and deliverers of the traditional housing industry are blurring. Understanding these transformations will be necessary to implementing the MM. Many around the BE design table are elitists who have turned their back on the mainstream housing industry for over 40 years, and as a result the built suburbia they decry is much of their making. If ever there was a time for reconciliation between BE and BW this must be it. Planners must take a fresh approach to implementation and building public trust. They must get their heads around the metrics that will avoid mass sterilisation of our most precious assets and more of the same. And they need to ensure that what is planned is what gets built. It is no longer possible to take a “hands-off” approach to the BE and BW realities. The MM conversation from a planning and governance perspective is well covered by others. In particular, the work of Professor Peter Newton and Sheridan Dudley who have great insights about precincts, place-making and outcomes is very relevant here. However, calling out examples of MM where government agencies have had involvement in urban renewal with questionable results is necessary. These should have been exemplar projects that set the benchmark and help build public confidence in planning. 10 to 15 per cent of all existing (brownfield) housing will be suitable for conversion to new MM stock – one million potential MM lots should have the capacity to deliver over four million new, more achievable and diverse dwellings over the next 20 years. The Australian housing industry claims to be pretty efficient at what it makes. In the case of a 300 sq m lot consider this. If the retail cost of this lot is $1500/sq m, the lot will have an input cost of $450,000 in the total housing equation. I estimate that the extra cost of making slab on grade lots these days, versus the alternatives, to be over $100/sq m. For a 300 sq m lot specifically made for slab on grade construction the cost could equal $30,000. If the car parking footprint is 50 sq m then the consumed land cost attributable to surface parking would be approximately $70,000. These costs seem more of a cross-subsidy that mask the argued efficiency of the $1500/sq m build case for the SLoGers, maintained by the industry. This is before a value is placed on the potential amenity of better at grade alternatives and consideration of duplicated storm water tanks, multiple vehicle access points across the public way and the missed opportunity for shared infrastructure such as energy, recycling, heating and cooling. And if you observe the waste from traditional on-site residential construction alone, the industry’s efficiency assertion has to be challenged. While standard project home designs are repeatable, less than five per cent of those designs have the ability to draw from off-site manufacture. The bell should now be pealing for smarter designers to be thinking about a way back into a market that they have absented themselves from for so long. But that way back will not involve business as usual. Renowned architect Ken Woolley was a pioneer in quality project housing 40 years ago when he inspired the Pettit and Sevitt housing company. That business had many lessons for today. Woolley and his team also had an eye to the industrialisation of construction. They had an eye to a repeatable building typology that could adapt to place and create superior value. Why is the design industry so resistant to repeatable designs and their use? The missing middle offers smarter designers and makers an opportunity to develop new innovative supply solutions. Old business models will not be the key to success as a digital, industrialising and global construction marketplace takes hold, shaped by social media, blending of mass-fabrication and mass-customisation housing choice, the collaborative economy, smart-homes and as new long-term home owner warranty assurance unfold. The case for planners and designers to embrace the MM as their new urban flagship has never been more compelling. They should help resolve today’s SLoGer construction challenges. There has never been a more exciting time to be in the housing market as new customer facing solutions take over from old norms such as variable quality, slow delivery and waste. Planners should take no joy from the images below. 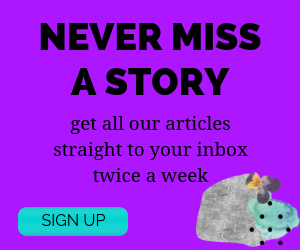 They make the planning rules, and in many cases, they promote the housing designs that produce the same result as readers can observe in this article. However, there is much more to the implementation challenges confronting the MM than seen here. These challenges would certainly have kept Woolley awake every night. He would be driven by the potential of joining the mass and custom fabrication potential that points to new ways of making smarter, more resilient and sustainable housing. He would be appalled that these images record the best we do today. 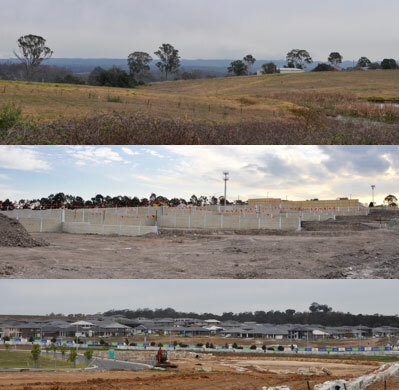 Planners and developers should hang their heads when the BW reality of BE plays out as it is now doing at Oran Park in southwest Sydney. There, land has been reserved for future density. In reality, the developers have used temporary parks to enhance the builder display home experience to create a false sense of place. Worse is the land use sterilisation occurring at Oran Park and elsewhere with slab on grade parking in targeted MM locations. How can a credible understanding of the missing middle potential be displayed if planners and developers attempt to pull the wool over the eyes of consumers and let this happen? Imagine if this housing typography eventually popped up across the road from your new home, despite the obvious disclaimers that the temporary parks were “fake news”. No wonder the public feel let down. And for what? Nothing amazing in diversity or choice. Where to from here for the making of MM? The making of missing middle housing can go in a number of directions from here. In fact, this is a national construction challenge, but the foundation of Australia’s construction industry has often been traceable to capabilities that were built in a residential context. I believe there are three key trends that will drive the making of tomorrow’s MM. It’s time for the conceivers and makers of tomorrow’s missing middle housing to get together. More of the same is unsustainable. And there is further reasoning. In a future built world the design and making of construction will become seamless, as is the case for the way project homes have been traditionally organised. Designers and planners must adapt just as fast as traditional SLoGers. It’s possible. The formula is BE + BW = Different. While readers are considering this conversation, there are two very significant industry transformation games being played out. One involves constructors who have given up trying to lower their costs locally and now have major procurement offices offshore to buy smarter and cheaper. The second involves industry exploring how they can modernise. The first of these games will eventually lead to making of Australian housing dependent on a majority of offshore supply. 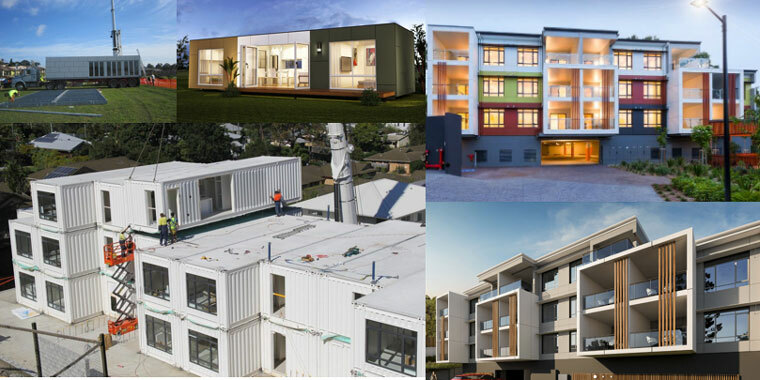 This is the momentum described in point 3 above, and is characterised by the following images of projects recently constructed in Australia. In this scenario it is possible that over 200,000 domestic construction jobs will go off-shore. For designers the story is grimmer. The future of design value will become lost in translation. There is growing evidence where projects completed with 40 per cent of previous on-site fabrication moving off-site, being delivered 40 per cent faster, less wastefully, safer and with high levels of quality and assurance traceability, are able to reduce cost by over 20 per cent. A recent article sponsored by the US-based Katerra points to inefficient construction worsening the affordable housing crisis. And if this is not enough to convince those imagining business as usual as a viable option, have a read of CB-Insights report on The Future of Housing: From Home Building to City Planning, how Tech Giants & Startups are reimagining Where & How we Live. The problem for Australian residential constructors and developers is that they still imagine that these improvements can be achieved from within their traditional business models. This intel is not about a forlorn inevitability that just says, give up. It points to the strong correlation that must now be established between the BE and BW if we are to make a viable fist of MM implementation in Australia. The alternative is to retire to sad observer status. Irrespective of how much of this conversation you buy, the inescapable reality is that facilitating an implementable missing middle requires a more joined up BE + BW approach. Irrespective of your concept of what constitutes the missing middle, the public and the industry need certainty. If the planning system continues to put the residential housing industry through the same mayhem that has occurred for the last 20 years expect the same chaotic results and worse. The way forward requires leadership. The industry is dependent upon certainty to build and adapt their business models to the changing BE + BW realities. 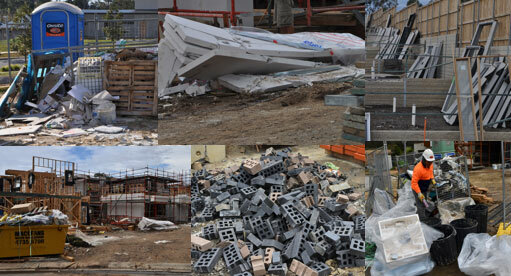 Making more diverse and achievable housing in Australia requires a hands-on approach. Government and industry will need to work more collaboratively to deal with the issues outlined in this conversation. A pipeline of fast tracked demonstration projects must follow, that enable the “first-movers” in the transforming construction world to achieve scale and proof of new business models that attract the investment to develop their capabilities and to modernise the supply chains they will need in today’s built world. New Zealand is taking this lead through their Kiwi Build initiative. Australia desperately needs a dozen young Ken Woolleys, and like-minded policymakers to lead this challenge. But, they must be accountable for the results – in stock numbers, industry capability building and public trust. 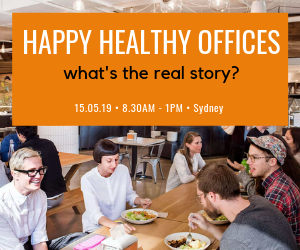 Adjunct Professor David Chandler is construction practitioner and industry engagement lead at Western Sydney University’s Centre for Smart Modern Construction. I agree with most of the points raised but one of the big problems that needs overhauling before big change can occur is the banks attachment to the Torrens Title system. This is one of the big drivers of the ‘slab on ground’ development + it takes creativity to avoid it. This is successfully demonstrated in the approach taken by Tim Riley of Property Collectives in various developments in Melbourne. Citizen-led housing will no doubt bridge some of the gap in the future. Excellent points David and Peter. 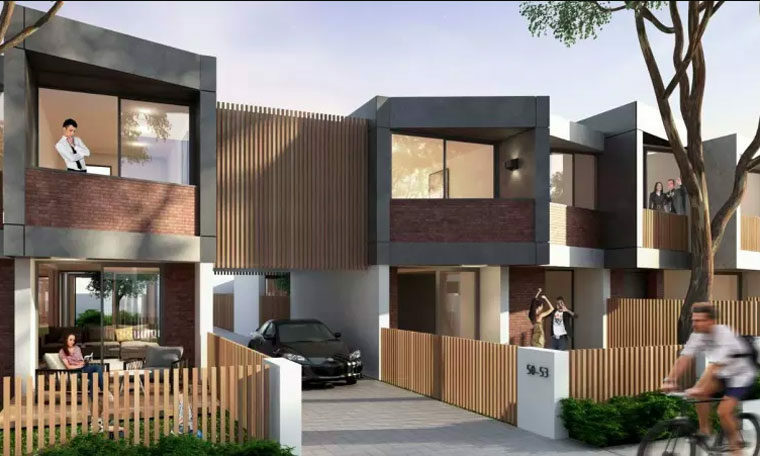 White Gum Valley in Perth is a great example of a Missing Middle small apartment block (3-4 dwellings) design solution delivering increased density within the current typical suburb layout. A simple measure we also like is flexible multi-generational housing with multiple entrances on a single block of land. If one portion of the house is not required it can be rented out. There are many solutions but we need to ensure the new swathes of housing estates achieve higher densities than the current 16 dwellings per hectare per the Victorian Planning Authority Precinct Structure Plans (the problem is no doubt universal across our states). A timely reminder that we need to redouble advocacy for the MM. The other definition of the missing middle is the existing ‘greyfield’ ring of low-density suburbs between the high-density centre and the perimeter greenfield sprawl. This broad zone retains reasonable amenity and commute time, and often has established backyard vegetation but ageing building stock. Can we really afford this zone of our cities to be frozen forever at 10-15 dw/ha? Or should we be looking for modes of housing that allow incremental infill densification without overlooking, overshadowing and outraging the neighbours. In this middle suburb context, 30dw/ha terrace houses make perfect sense. Smarter BW construction methods are certainly needed, but smarter BE planning for carparking, solar access and urban greening are also essential for truly resilient urban housing.